New Delhi, Dec 9: The Delhi Police has busted a fake education board by the name of Board of Higher Secondary Education Delhi and arrested six persons including its "Chairman" for cheating over 2,000 people across the country, a senior officer said on Friday. Prashant Solanki, 22, Altaaf Raja, 22, Baljeet Singh, 24, Lakshya Rathore, 24, Ramdev Sharma, 65, and chairman Shiv Prasad Pandey, 65, were running the fake board from the last seven years and lured students by showing its website bhsedelhiboard.net. They allegedly defrauded their clients of huge money. Around 17,000 fake blank mark sheets of 17 different boards and universities, rubber stamps, printers, six ATM cards of different banks, pass books and computers were recovered from the "board office" located in Vikaspuri, the police said. "The incident was reported to police on September 11 by a complainant, saying a fake mark sheet was issued by Solanki who works as a computer operator in the 'Board of Higher Secondary Education Delhi'. "When the police cross-checked with the Ministry of Human Resource Development, the mark sheet was found issued by some fake board," Deputy Commissioner of Police (DCP) Nupur Prasad said. The police initially arrested only Solanki from Gokalpuri in north Delhi. But Solanki them that he used to get all fake mark sheets from one Baljeet Singh who had been designated as Director of Board in place of Mange Ram Acharya, the matermind of the racket. He is currently in a jail in Rajasthan in connection with some other case. "Singh was arrested from his hideout in west Delhi and disclosed that he got prepared this mark sheet from the 'board office'. The office was raided and Raja, Sharma and Rathore were arrested from there. During interrogation, the accused said they were employees of this board and were assigned different works as per requirement, according to Prasad. Pandey, the Chairman of board and a native of Uttar Pradesh's Pratapgarh, operated from Lucknow. The police team later arrested Pandey from Lucknow, she added. "The accused issued advertisements in local newspapers and vernacular press, luring 8th, 10th and 12th class failures with the offer of providing them certificates and board affiliation to private schools. They also advertised vacancies for the board staff. The board claimed that 300 schools are affiliated to it," the officer said. "The accused charged Rs 10,000-15,000 from small private schools for according affiliation. Pandey was looking after the northern part of India including Bihar and Uttar Pradesh. On demand, this board prepared fake mark sheets and certificates within an hour," Prasad said. 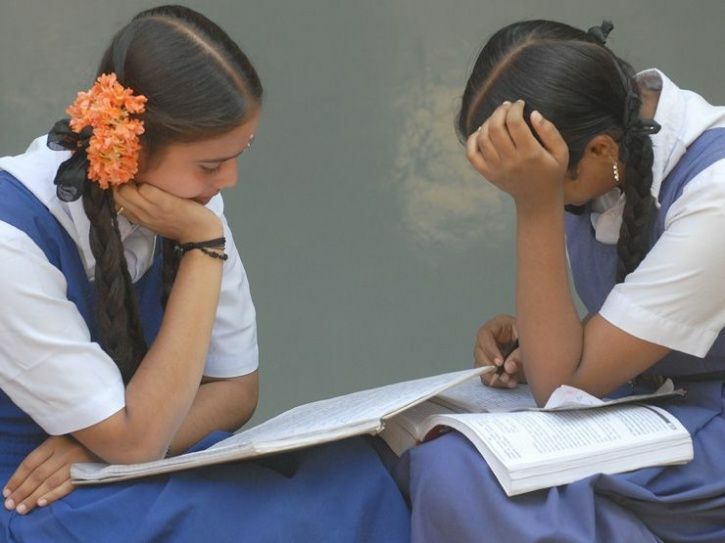 The board charged Rs 51,000 from the schools of Uttar Pradesh and Bihar for affiliation and Rs 1-2.5 lakh from those in Punjab, Gujarat, Karnataka and Maharashtra. "Pandey also admitted that in 2012, more than 5,000 candidates were given fake mark sheets. Some victims unaware of the genuineness of such mark sheets even procured Indian passports from passport offices in Lucknow and procured overseas jobs and government jobs in Uttar Pradesh Police, railways, post office and paramilitary forces," DCP Prasad said. The investigation is going on to find whether government officials and machineries were also behind the operation, as all this could not have been possible without connivance of officials of in education department and some other departments, according to the officer.